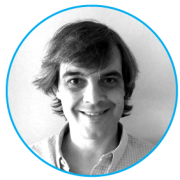 The support provided by the images is critical to a better understanding of content. This is especially important in the medical field where concepts are difficult to understand for most patients. 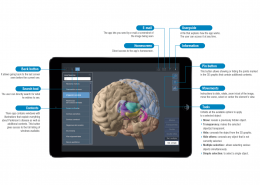 Since its inception, ec-europe has become known for creating medical illustrations to support healthcare professionals in their educational work. 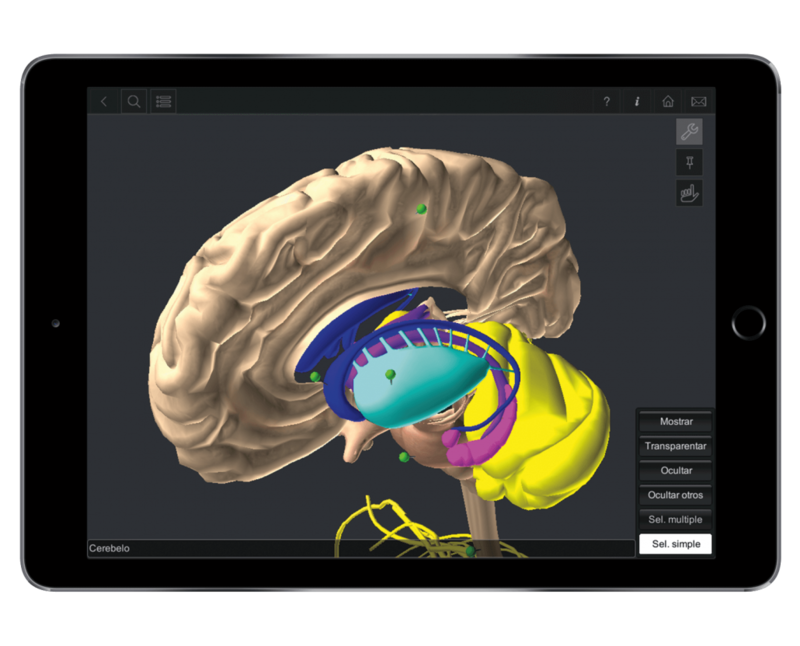 The emergence of touchscreen mobile devices allows users to explore three-dimensional anatomical models from their tablets. 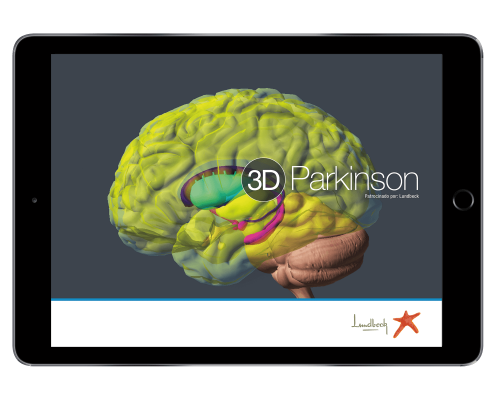 The 3D application uses the touchscreen to rotate and zoom in on a large collection of anatomical structures. The illustrations help patients to understand how the various layers and organs that form a system in the human body are organised. 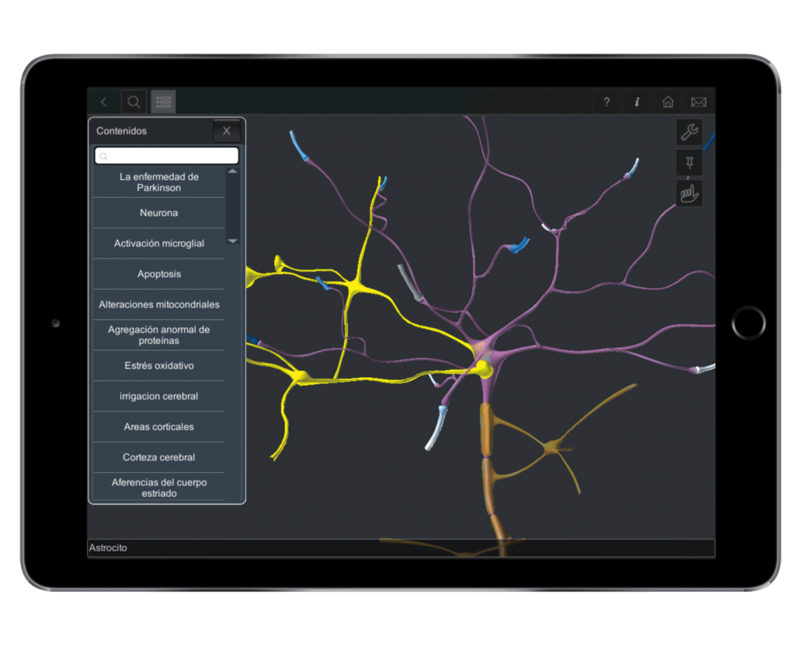 The application also contains additional information about the pathologies that can affect each system within the body. 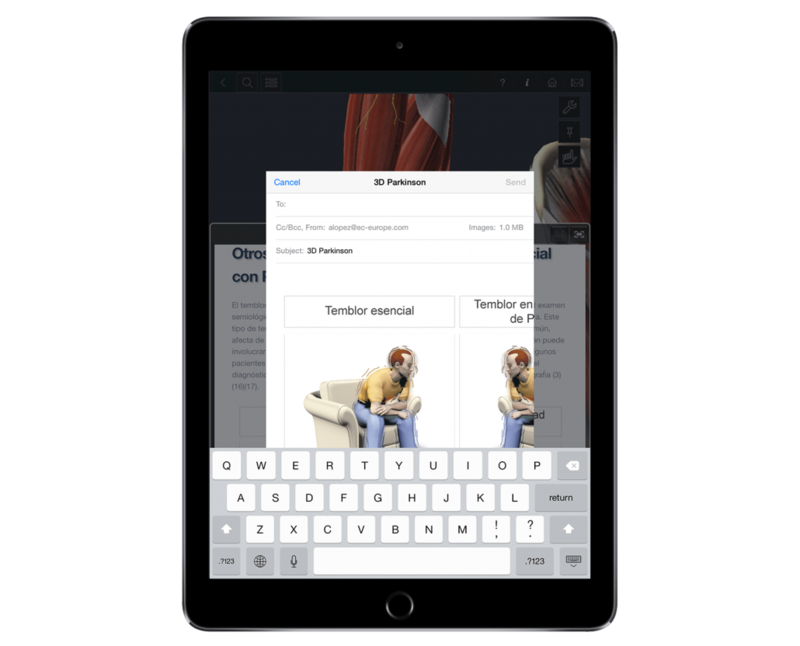 The purpose of the application is to provide doctors with a tool that helps them in their everyday communication with patients. 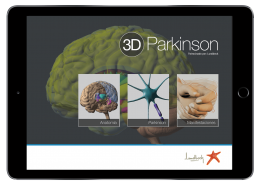 The 3D applications were developed to facilitate an understanding of human anatomical structures and possible pathologies. 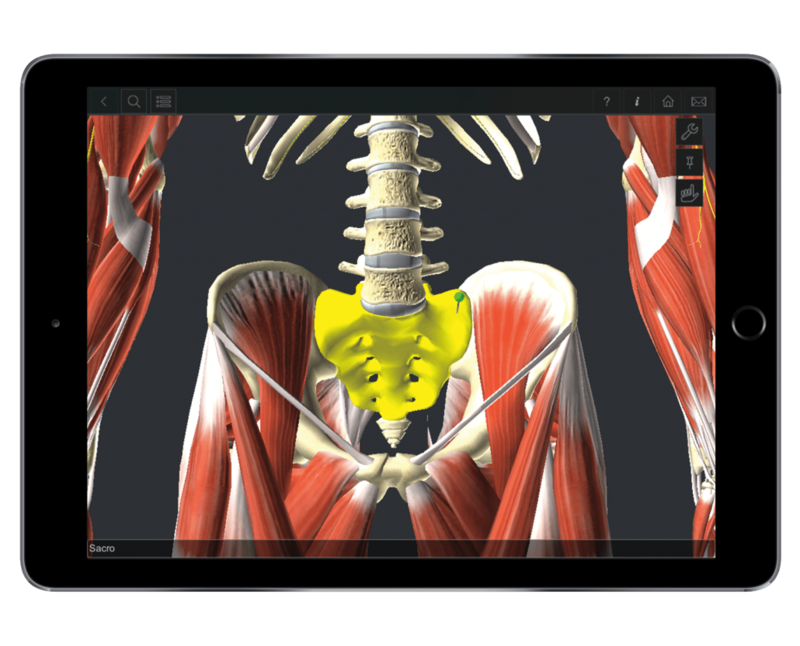 Apart from 3D anatomical models, it provides additional content that describes the main features of a disease and all the anatomical changes that occur during it. 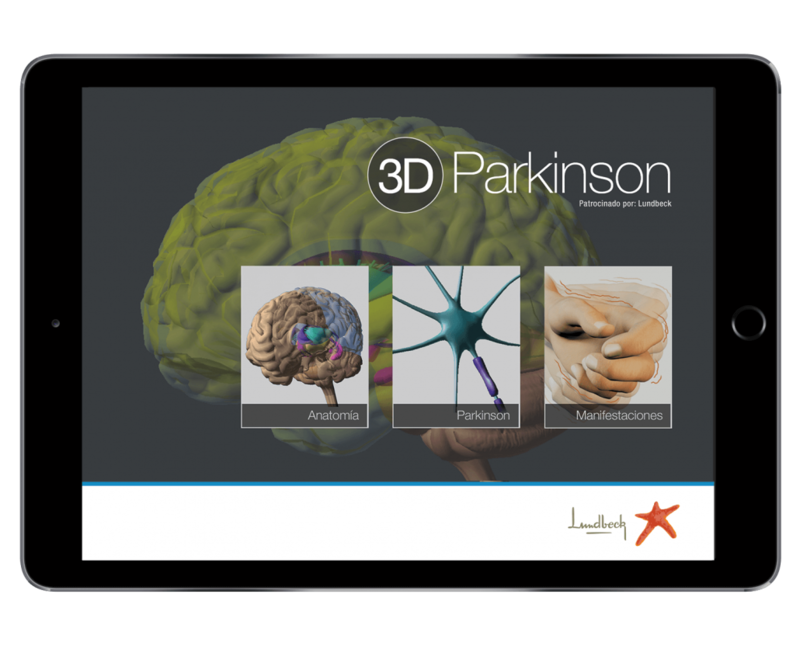 The application contains interactive tools and illustrations that allow patients to explore the anatomy of the various systems of the human body as an aid to understand diseases, their diagnosis and treatment. 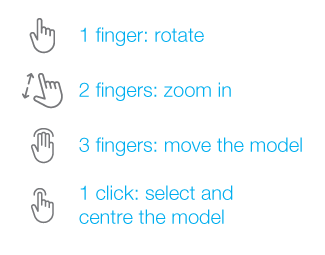 The user can select various actions to execute on a selected element, allowing them to show and hide elements of the three-dimensional model, individually or in groups. 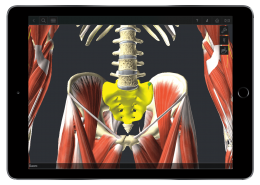 When exploring anatomical models, tapping a certain part shows a key with a description. The application displays a list of all the pictures and videos it contains. 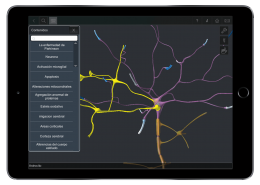 It allows searches for specific content and, during a query, it shows the location of the result in the anatomical model where the pushpin icon is displayed. 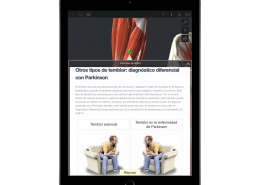 The application allows the user to e-mail medical illustrations with explanatory texts. The application can be customised with the colours of the pharmaceutical company or the sponsoring drug. It contains banners and various locations within the application to place product and laboratory logos. It also includes a manual that explains all operations. This manual can also be customised with the sponsor’s colours. 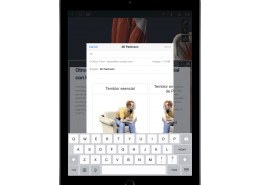 The app can also be customised with professional access using a question or login details. During a medical sales visit, the representative drops off explanatory leaflets describing the main features of the application, how it works and where it can be downloaded. These include the logos and colours of the pharmaceutical company. ec-europe takes care of passing the necessary approval processes in order to publish the application in the corresponding stores as well as keeping the application up to date and optimised for compatibility with new devices and operating systems. We also offer statistics on the use of the application. 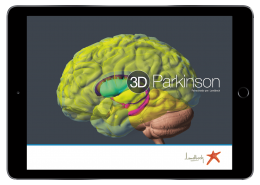 DESCRIPTION: Interactive 3D anatomical model on Parkinson. The user can freely manipulate the 3D model and display it from any point of view by using movements of translation, rotation and zoom magnification. Includes information about the most usual pathologies. 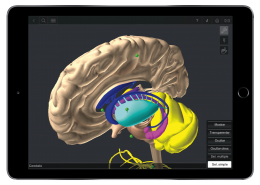 The user can choose, through a dropdown menu, the different structures to display, make transparent or to remove, thus being able to generate the needed medical illustration. 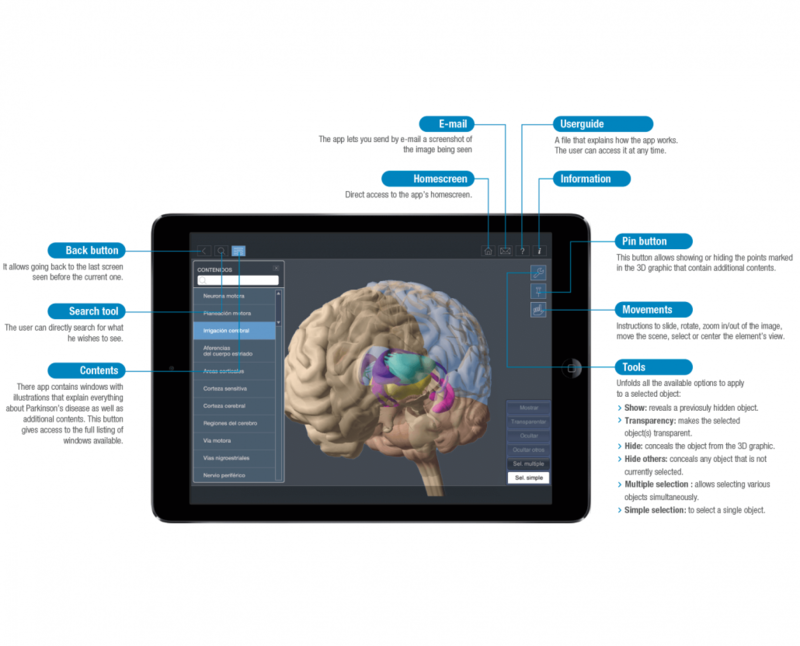 The user can capture these illustrations created from any angle and position of the 3D model for its subsequent use: send it by e-mail, use into a PowerPoint presentation, etc.